Shults shot the movie with most of his family and friends, who surprisingly turned in amazing performances that I still think about today, but the major praise here comes from how he tells his story, which is not from dialogue or hitting us over the head with symbolism or actions, but from out main character Krisha, as she unfolds her past and present to her family that she hasn’t seen in a decade. Krisha is a sixty-something free spirit that seems truly nervous about seeing her family fir the first time in ten years for Thanksgiving. She arrives at the house of her sister to be greeted with loving arms by everyone, however something seems off-putting. There is a big piece of tension in the air. You can almost see it and smell it from the time she walks into that house, as if something is going to go terribly wrong at any moment, which is amplified by the score and editing. 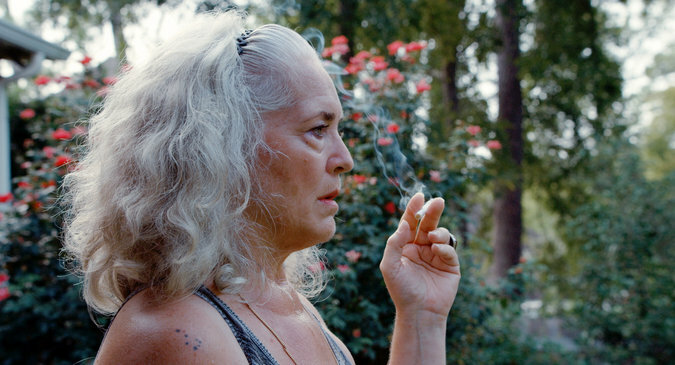 Whether Krisha’s mysterious injury or lockbox of medication didn’t arise enough questions, her family flat out confronts her about her addictions, but there is something more at work here, as Krisha tries to keep her composure, and Shults just give us crumbs of information form time to time, as to not spoil anything thats to come. It’s a very organic feel here as the suspense is slowly building with each character seeming to be a portrait of your own family with the dark humor and constant hassles of bringing up someones past. Needless to say, things don’t go so well. Shults does a fantastic job with his camera, even changing aspect ratios throughout the film, which was a cool stylistic choice, but unnecessary. The performances from everyone, including Shults’s family and friends deserve some sort of award. This is one of the more unusual yet brilliant films I’ve seen in a long time, and I can’t wait to tell people about it. 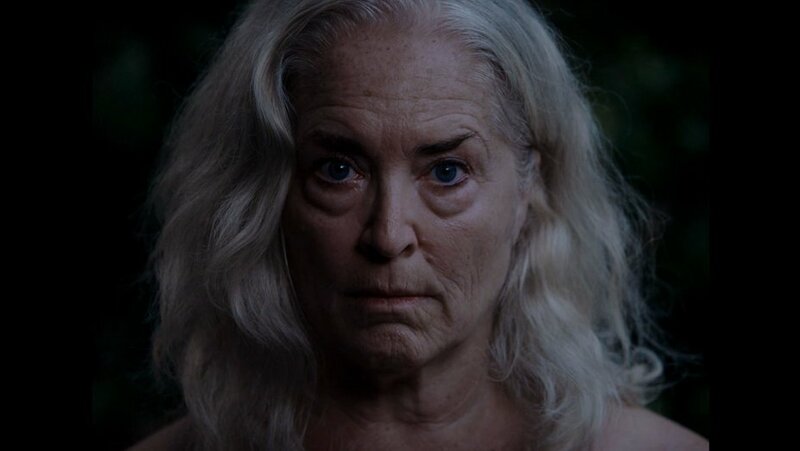 ‘Krisha‘ is top notch filmmaking! This entry was posted on Friday, March 25th, 2016 at 12:51 pm	and is filed under Film, News. You can follow any responses to this entry through the RSS 2.0 feed. You can skip to the end and leave a response. Pinging is currently not allowed. « The Trailer For ‘War Dogs’ Is Here and Hilarious!! !